So awesome to see the talented kids of Farmville, Virginia creating! Always an honor to receive captured moments of talented children taking in works and sketching the visuals their way. 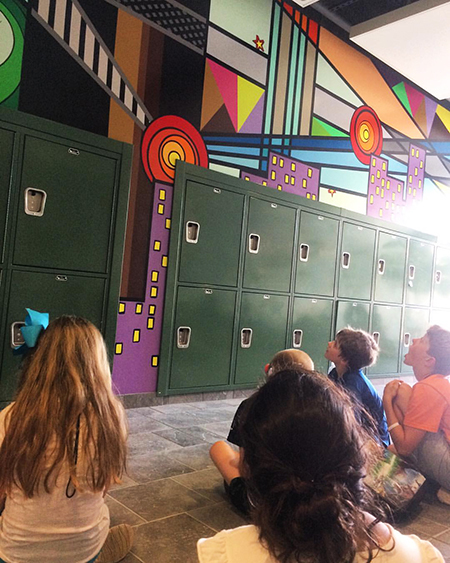 Here’s Joy Utzinger’s Prince Edward County Public Schools “TAG” camp students learning about the design of the “Eastern Rays” mural yesterday in Farmville, Virginia which was completed in the lobby of the Bedford Art building at Longwood University in 2014.